The Genealogist is an official publication of the A.I.G.S. Inc and is produced 4 times a year (quarterly). 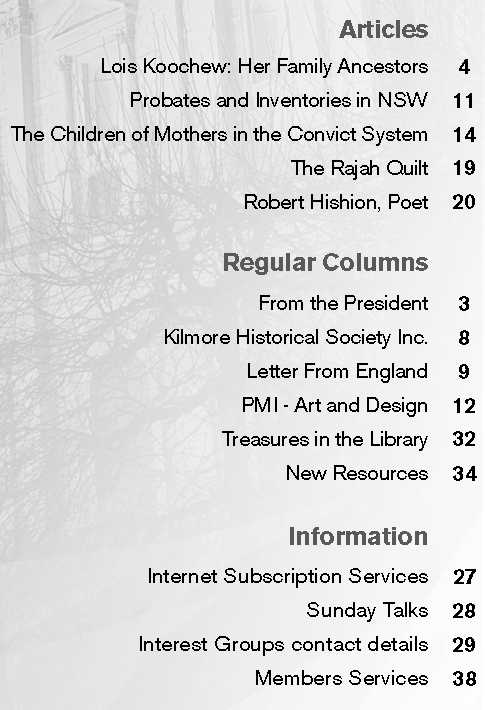 This magazine is provided to members and specified subscribers. Vol. XVI No. 12 March 2019.